Alright, it's quite expensive. 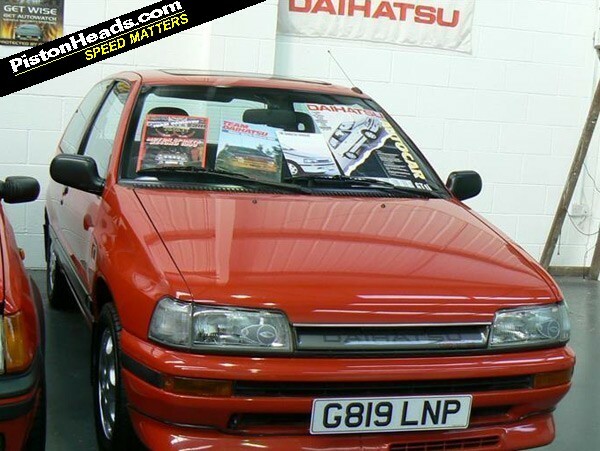 We can all appreciate a Charade GTti but it would take a real die-hard enthusiast to spend £9K on one. That or a significant lottery win where all car buying fantasies, however esoteric, can be fulfilled. But now is not the time to carp on about price. That's why the forum exists. 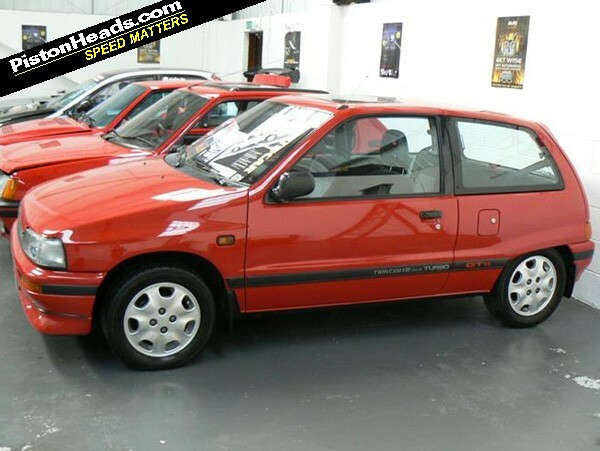 Here we can celebrate why the GTti was (and remains) a fascinating little car, and one that provides a great template for future hot hatches too. The fastest Charade held the laudable honour of the world's most powerful production 1.0-litre car for a very long time. 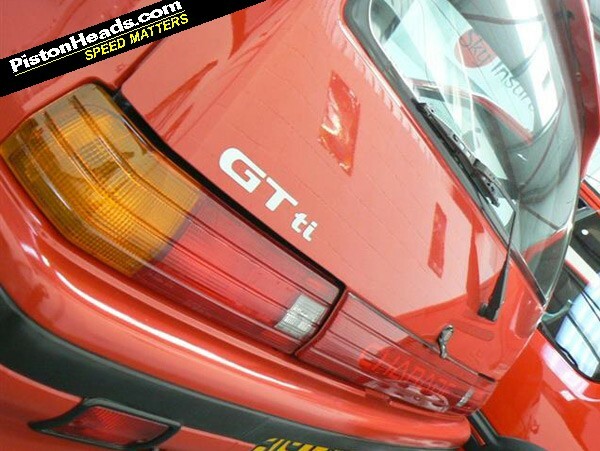 Three cylinders, 993cc, dual overhead camshafts and a turbo made 100hp, an incredible achievement for 1987. And it's only now in a world of Ecoboost engines where that sort of output is being matched from such a small capacity. In the PH office we've managed to suggest the Brabus Smarts too and, er, that's it. All other suggestions for sub-1,000cc rockets welcome! With a kerbweight of around 800kg, performance was sprightly to say the least. Top speed was 115mph according to Daihatsu; depending on where you read, 60mph arrived anywhere between 7.7 and 8.5 seconds. Certainly fast enough then, and of course accompanied by a really distinctive three-cylinder soundtrack. Daihatsu even rallied them, just to prove how tough the little Charades were. 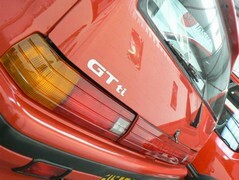 Like very nearly all Japanese performance car heroes, the GTti isn't what you would call a looker. It's very much plain old Charade outside, matched inside by a feast of grey plastic. To people like us it's saved by 'Twin Cam 12 Valve Turbo' on the bumpers and GTti badges, but don't expect kudos anywhere. Even at the garden centre. Like a few old cars now though, the Charade proves what new cars should be aiming for. Just recently we discussed how the pocket rocket has disappeared and this is just the thing that should be emulated: low weight and small displacement makes it really efficient as well as fun. Keeping the exterior fairly modest is probably a wise idea too. Nice, but not at that price! You could get a good E46 M3 for that! Fun, but not £8995 of fun. Even at £4000 it would feel a touch expensive. 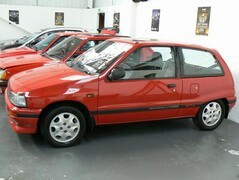 Magic, I owned one in 1990 something, I loved it and people couldn't believe how quick it was. We used to blat around the old Tangmere airfield in Sussex with my mates in an MR2 and 1.9 PUG. It was just as quick and had entertaining lift off oversteer, however less scary than the PUG. Seats were one piece cheapos, covered in nice velour, however it had a little turbo gauge on the dash to keep you entertained. I remember it had tyres that were an odd size to find. This one at +9k is a bit steep but try finding one now? Silver was a better colour IMO. They could easily be tuned to 140bhp and a common upgrade was a Golf gti backbox to get more rumble. This has made my day. Daihatsu definitely claimed a 0-60mph time of 7.7 seconds in their adverts at the time. I remember a magazine advert with that figure, together with a picture of a Charade GTti indicating to overtake another hot hatch (Golf GTI 8v, IIRC). The 12-year-old me was impressed by that but, judging by the article, that time may have been a bit optimistic!